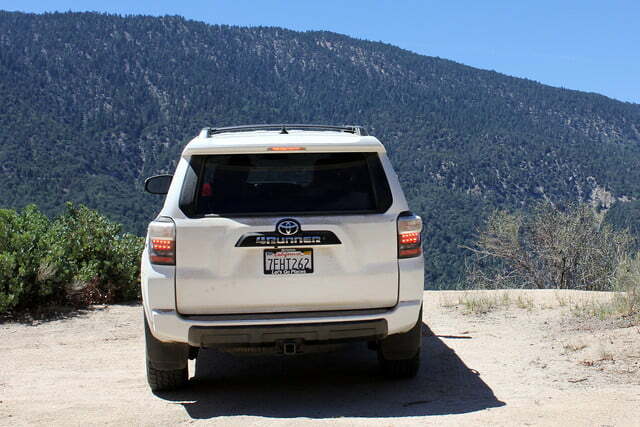 Comfortable, cool, and effortlessly capable, Toyota’s 4Runner TRD Pro is one of very few SUVs you can drive off the lot and up a mountain the same afternoon. 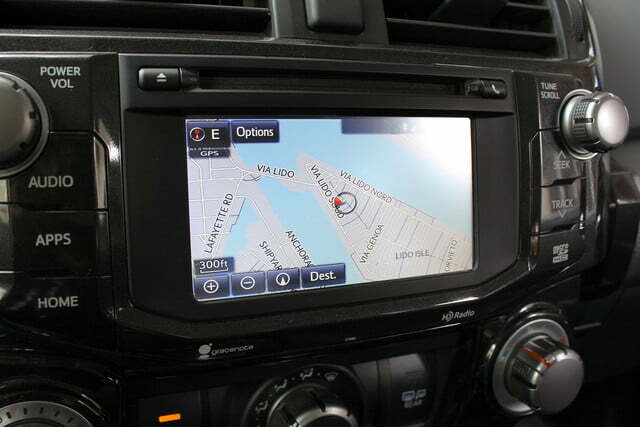 The Toyota 4Runner TRD Pro is a fresh-water fish within a salt-water sea of stilted crossovers. It was built for a specific purpose, and yet it looks so menacing and, bluntly, badass, that it is forced out of its element and onto suburban streets. Yes, the TRD Pro packaging is engineered to handle the roads less traveled, but buyers who scoff at lifted pickup trucks might find the angry-eyed glare and increased ride height of the 4Runner TRD Pro to be a perfect injection of “cool” for around-town errand-running. But that’s not the review you’re about to read. If you want to know how the Toyota 4Runner TRD Pro handles grocery runs and soccer practice commutes, a simple Google search will fulfill your quest. No, I took the Pro to its natural habitat and let it show me why it belongs in the company of some of the most capable from-the-factory rigs you can buy. 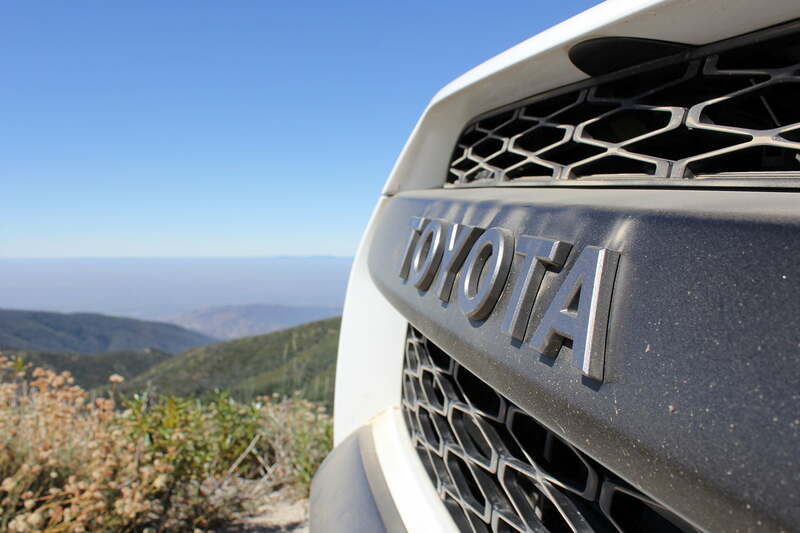 The 2015 Toyota 4Runner TRD Pro packs an impressive list of upgrades for an SUV that is already hugely capable off-road. 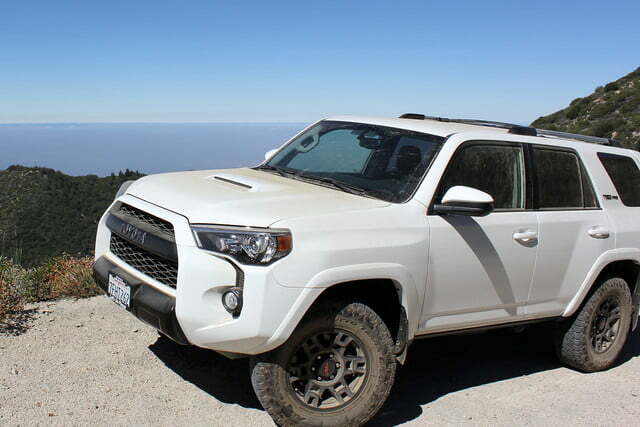 On board are 17-inch TRD alloy wheels coated in a black finish and wrapped in 31.5-inch Nitto Terra Grappler tires, red Eibach springs, TRD Bilstein shocks with a rear remote reservoir and an additional inch of suspension travel all around, and a TRD aluminum front skid plate. 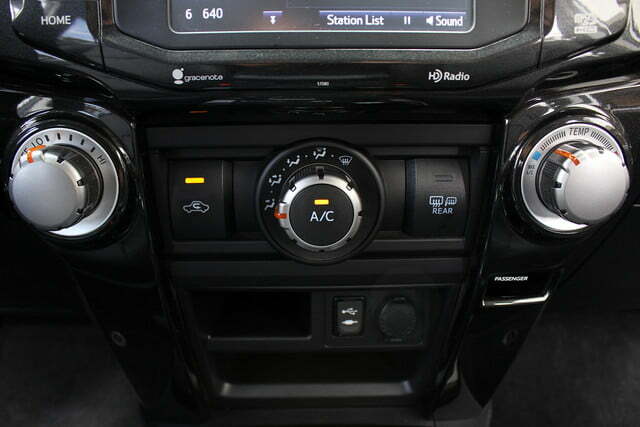 These features complement the 4Runner “Trail” grade’s locking rear differential, automatic traction control system with crawl-assist, multi-terrain selection controls, front and rear ventilated disc brakes, and front and rear stabilizer bars. 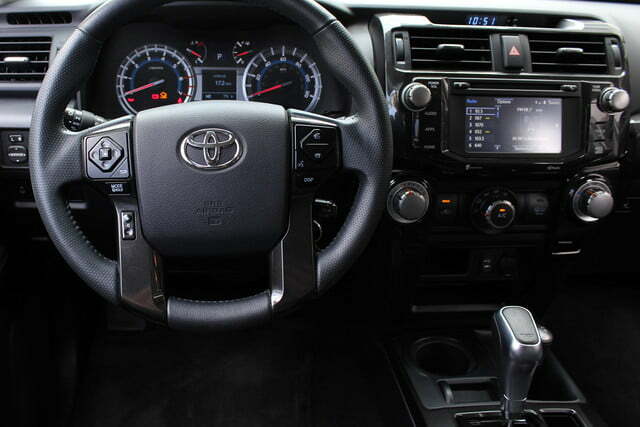 As for the aesthetics, the 4Runner TRD Pro receives unique badging, black exterior accents, darkened LED taillights, a TRD shift knob and TRD Pro floor mats. 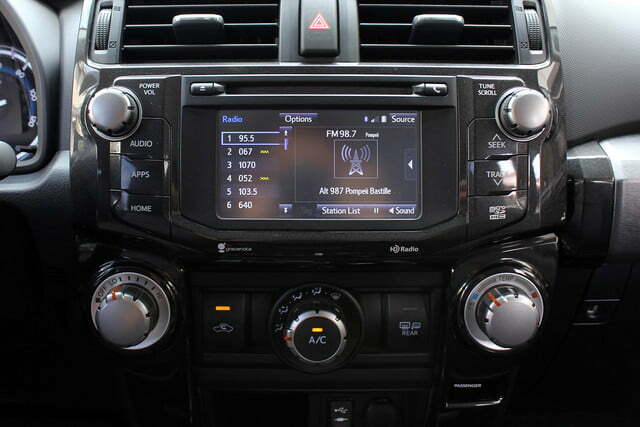 For all the above, you’ll have to shell out $41,995, including destination, but as I would discover, the TRD Pro package delivers whatever you ask of it when the road gets rough. 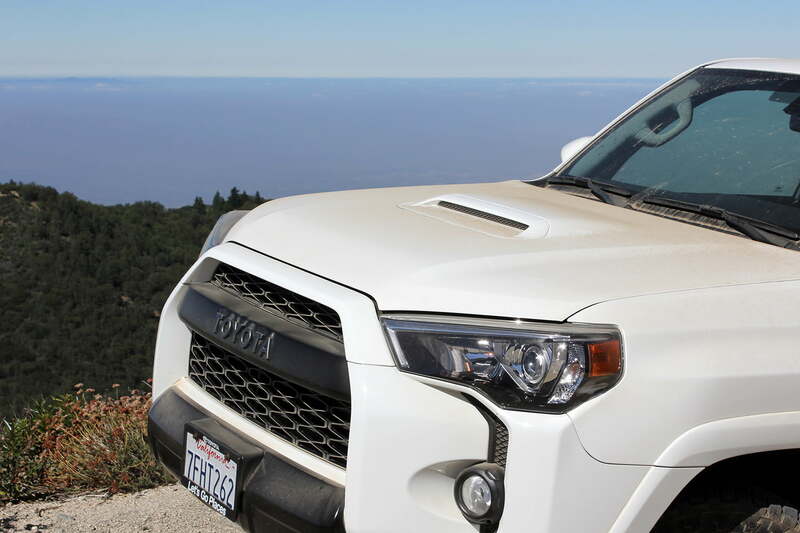 In summary, the 4Runner TRD Pro has the hardware to tackle most any terrain. 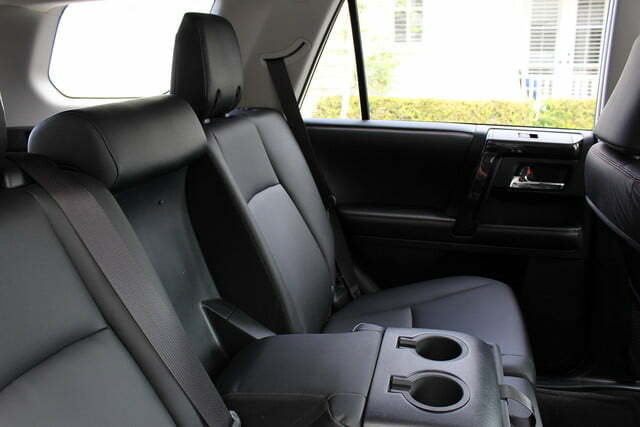 Inside, you’re treated to SofTex heated leather-ish seats, a 6.1-inch (small these days) infotainment screen with Bluetooth calling and audio, two USB ports, an AUX inlet, navigation, a backup camera, and a suite of Toyota in-car apps. 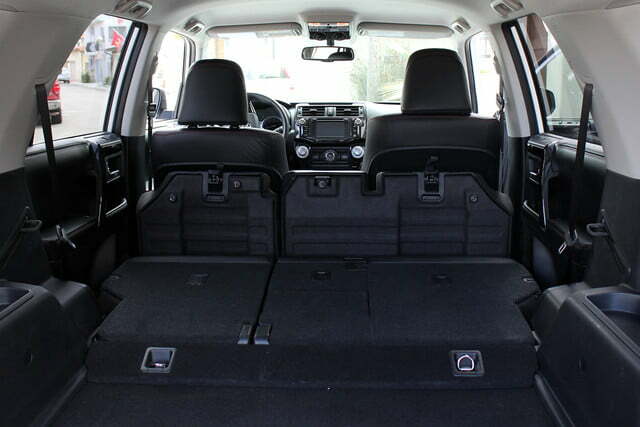 In terms of utility, the 4Runner has seating for five, fold-flat rear seats, and 89 cubic feet of available storage. That translates to plenty of room for four large gentlemen and a weekend’s worth of food and camping gear — I was happy to be the test subject for that experiment. 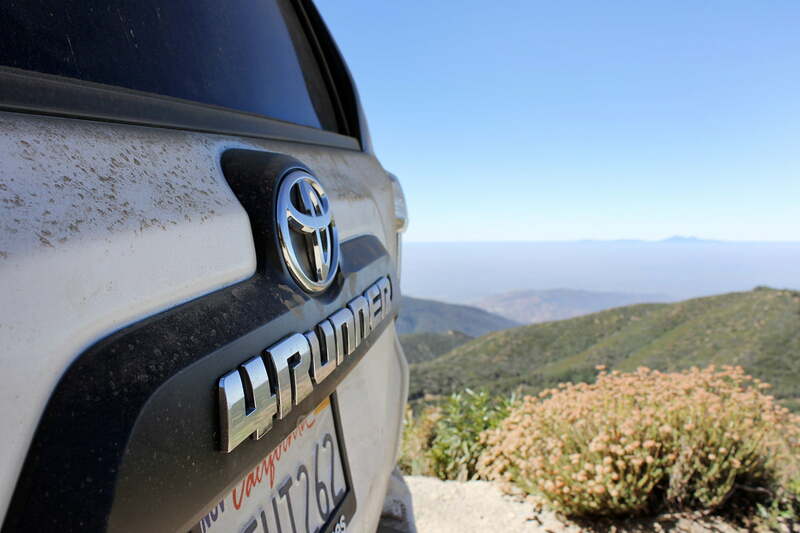 On the highway en route to Big Bear Mountain, the Toyota 4Runner TRD was wonderfully comfortable, with a touch of tire drift and hum as is common with oversized rubber. 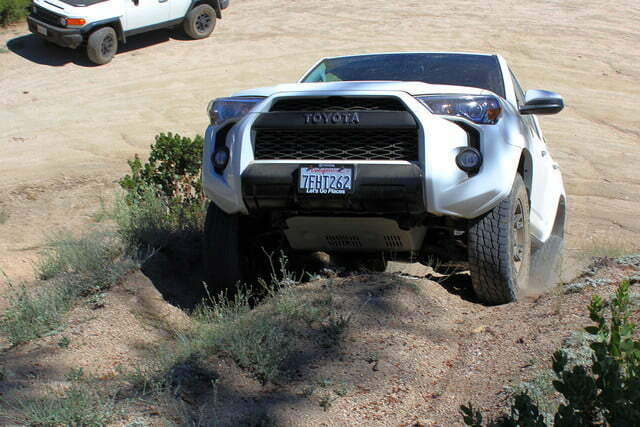 The brake pedal has a somewhat squishy feel, but foot-to-the-floor and the 4Runner TRD Pro comes promptly to a halt. The hydraulic power steering is quick (2.7 turns lock-to-lock) and accurate, with more than enough feedback for on and off-road purposes. 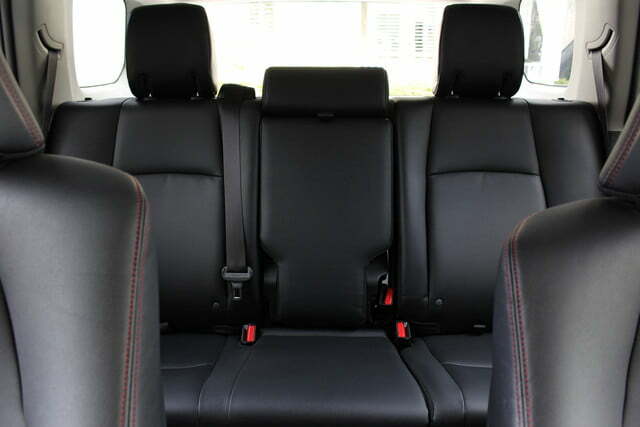 No complaints about the seats either – they were supportive, cushioned for long or short hauls, and once the road became rough, they proved their quality. Styling is unquestionably polarizing. 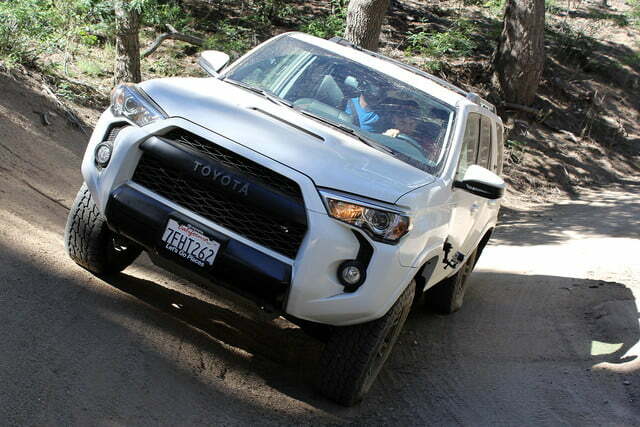 My “Super White” 4Runner TRD Pro sported the Storm Trooper look with a face that either haunts or excites. For my part, I felt cool just standing near the truck, and ten feet tall once nestled into the driver’s seat. After so much time spent in sedans, I forget how pleasant it is to look over other vehicles instead of through them, and off-road, you can spot tricky sections of terrain much earlier. 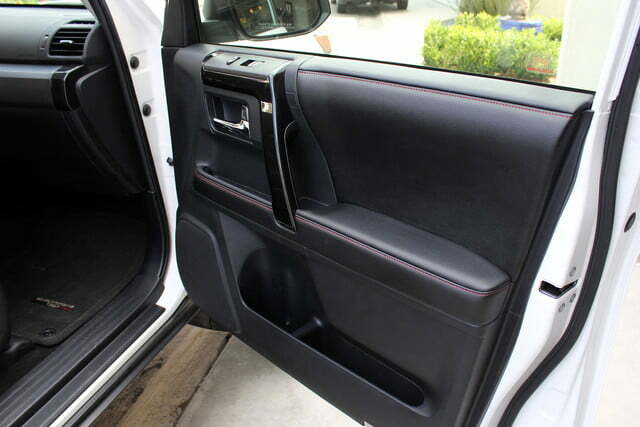 Visibility is also excellent, both beyond and around the hood as you navigate rough roads, and over your shoulder as you change lanes on the highway. Has my “livability review” quota been fulfilled yet? Good. Now to the rough stuff. What’s the limousine effect? It’s how I began referring to the ride quality of the Toyota 4Runner TRD Pro once the ground turned from smooth to scarred. 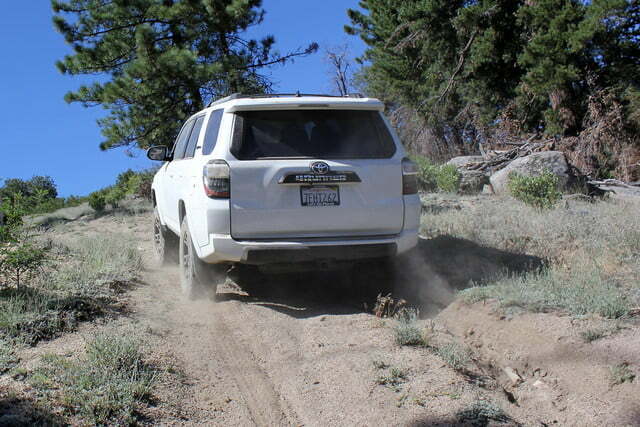 Toyota Racing Development engineers must be trained in sorcery as well as mechanical engineering, because as the 4Runner rises and dives over gravel, rocks, and deep recesses, the passengers comfortably bob along, but are hardly ever unsettled. Watching the caravan of Jeeps in front of me jar over rough terrain, I prepare for the worst, but ultimately I’m met with a gentle weight transfer and nothing more severe. To be clear, I didn’t approach road imperfections at a crawl. 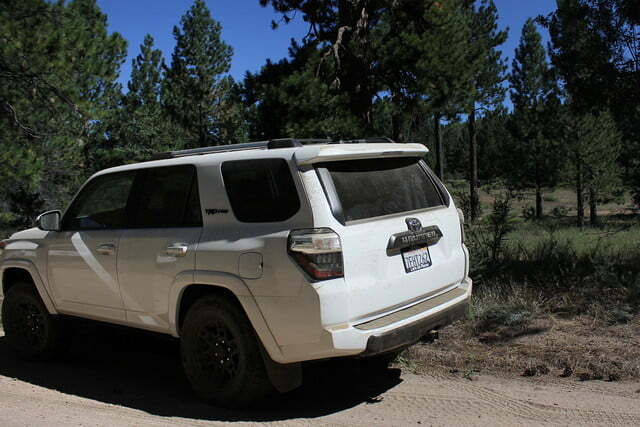 Mystically, at any sane speeds, the 4Runner TRD Pro is tremendously graceful off-road. To belabor the point about how comfortable the Toyota 4Runner TRD Pro is over unsettled terrain, I’ll offer two examples. My friends and I had precariously tossed ice, snacks, condiments, and, notably, two cartons of eggs into a cooler before wedging it behind the rear seats. 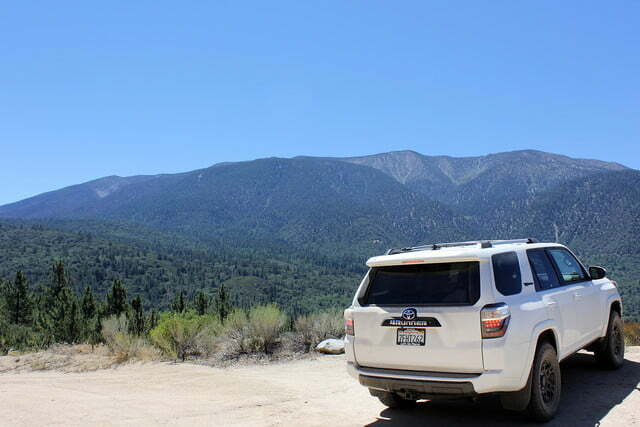 As the road became ragged along one of Big Bear’s many trails, I considered pulling off to better secure the eggs, but the 4Runner’s ride had been so supple that I literally risked breakfast to see if the car’s undulations would be harsh enough to crack the eggs. Four hours later at our campsite, all two-dozen yolks were safely within their shells. Example two: My friend fell asleep in the back seat. That’s it. I could fluff the story a bit, but put simply, the ride was so smooth that even over rocky, undulating ground, someone was able to casually count sheep on the rear bench. The limousine effect: standard on all 4Runner TRD Pro’s. 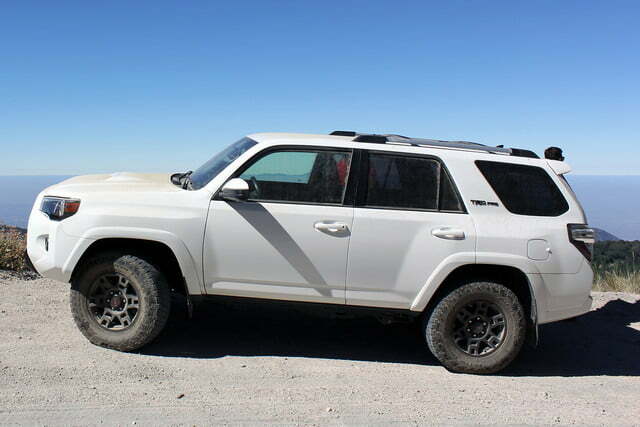 Being comfortable off-road is wonderful, but more important for a purpose-built machine like the Toyota 4Runner TRD Pro is its composure and capability over challenging, dangerous terrain. 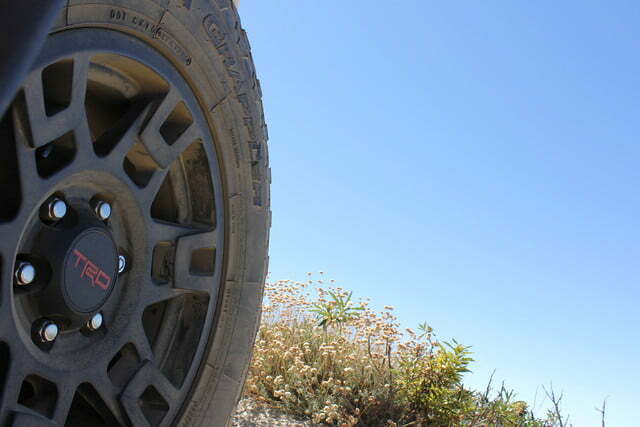 Though the TRD Pro series of trucks were designed for desert running, the 4Runner variant also proved highly competent on gravel and over large rocks. Its 4.0-liter V6 develops 270 horsepower and 278 pound-feet of torque, plenty for brief spurts of acceleration, but not quite enough for tail-happy maneuvers on dirt roads. Torque peaks at 4,400 RPM, so using the five-speed automatic’s manual mode allows you to keep the powertrain in a sweet spot when the urge to be a hooligan consumes you. 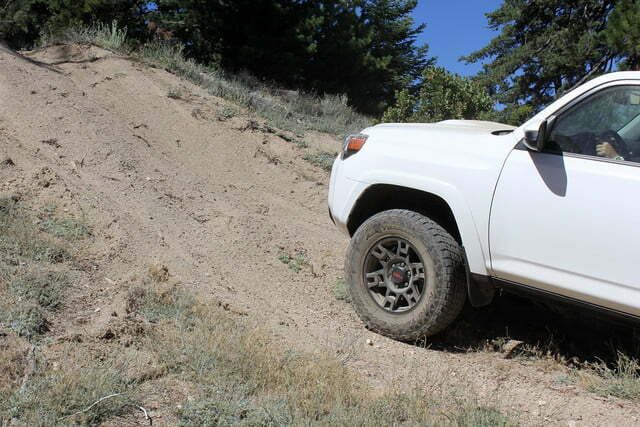 The all-terrain Nitto tires and handy suspension tuning of the 4Tunner TRD Pro meant that throughout the easy to intermediate trails of Big Bear, I could stay in two-wheel drive without any inkling of slippage. 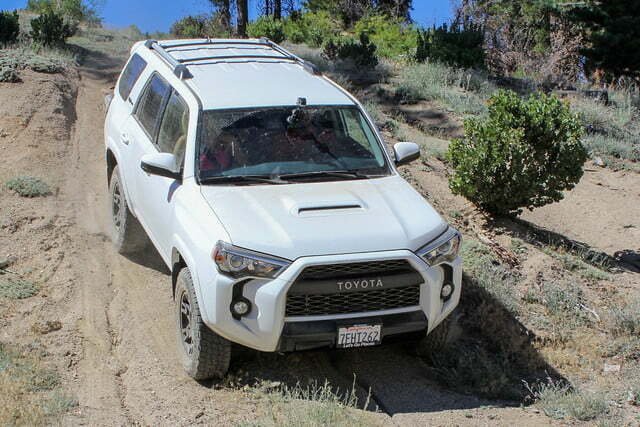 However, I chose a couple particularly challenging sections to engage the 4Runner’s automatic traction control system, locking rear differential, and, of course, four-wheel drive low. Having settled on a rather steep hill, I engaged four-wheel drive low, locked the rear differential and chose a moderate pace to throttle up the incline. 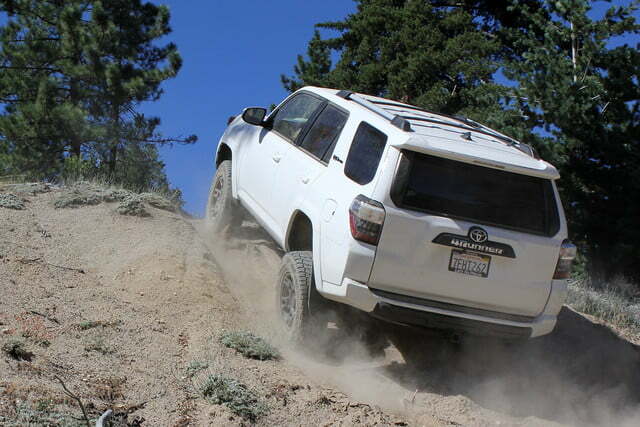 Like it was still in its pajamas, the 4Runner TRD Pro gripped and ripped up the 55-degree angle with ease. 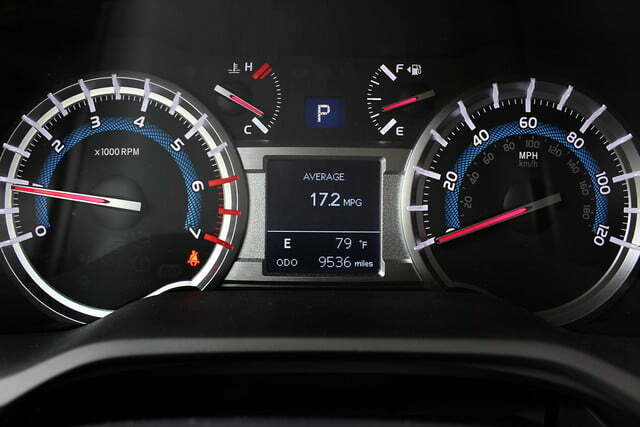 Once at the summit, I pointed the truck downhill and engaged the automatic crawl control at a medium pace. Foot off the gas and brake, the 4Runner effortlessly rotated its tires and modulated braking as I added steering angle. The SUV didn’t hesitate, slide, or shake during its descent, and I was left with the impression that it didn’t know how to struggle off-road. At other intervals during my weekend outing, I experimented with what appeared to be challenging terrain: over boulders, through significant pitch changes, and along gravel at speed. Nothing phased the 4Runner TRD Pro. In full transparency, I’ve piloted off-road vehicles for years, but the 4Runner doesn’t require vast depths of experience to perform. 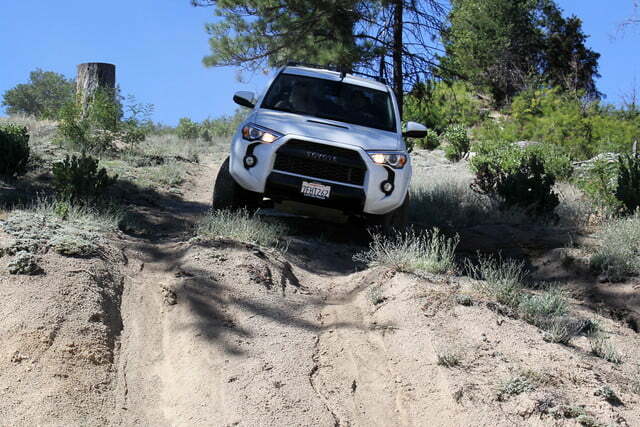 It’s hardware is so capable, that anyone who’s done their homework on approach angles and traction-hunting will be able to leverage 95 percent of the 4Runner TRD Pro’s capacity off-road. 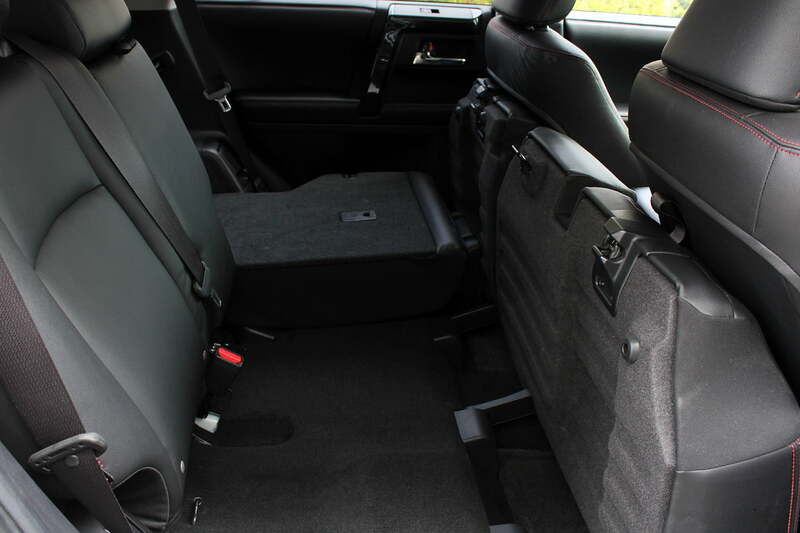 The present generation Toyota 4Runner is well-aged, and while that means advanced safety and convenience features are absent among the options list, its platform is durable and proven. 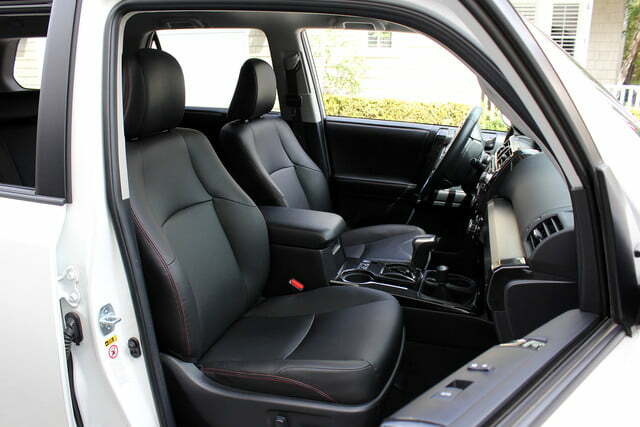 The 4Runner TRD Pro makes it remarkably clear that Toyota and its development team know what they’re doing, as evidenced by its effortless off-road performance and interior comfort. However, this model isn’t for everyone. 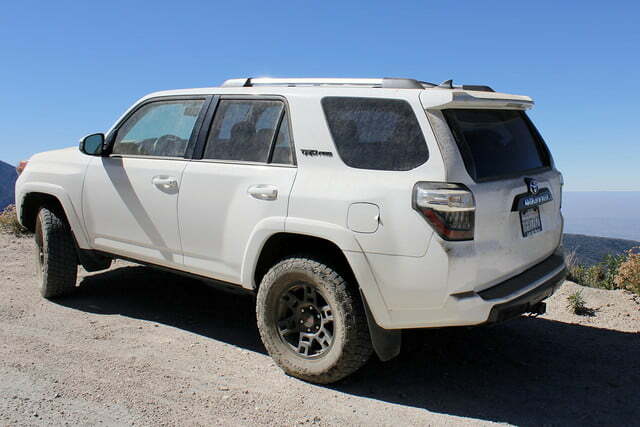 For those who seek a capable off-road vehicle with rugged looks, but plan to spend the vast majority of their time cruising paved roads, the standard 4Runner can be optioned with many of the most essential all-terrain tools sans the noisier oversized tires, for $3,110 less than the TRD Pro spec. While definitively a livable rig, the 4Runner TRD Pro has the potential to exhaust its charm on those who don’t spend most weekends on mountainsides or sand dunes. 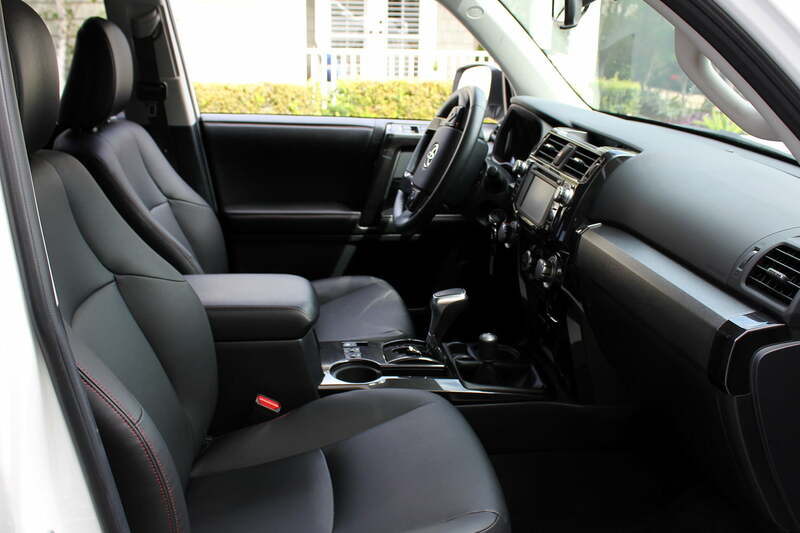 Disclaimer extended: The 2015 Toyota 4Runner TRD Pro is one of the most capable off-road vehicles you can buy, with precision-engineered equipment on-hand to tackle any terrain you put beneath its grippy tires. It’s a unique vehicle that makes you feel precisely as awesome you look, whether summiting a hill … or a speed bump.